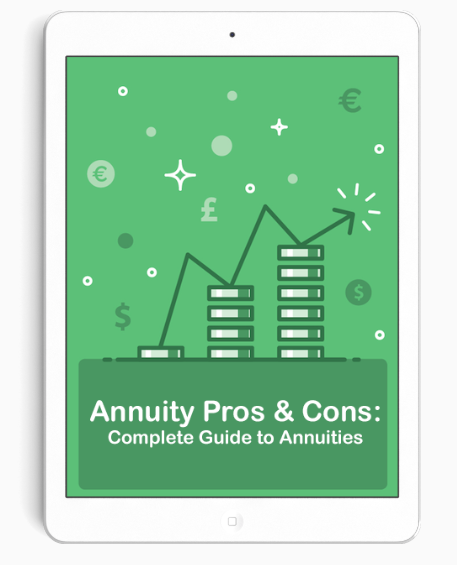 What are the basics of Equity Indexed Annuities? An equity-indexed annuity (EIA) is an alternative savings plan for conservative investors. It can come as an immediate or deferred annuity, so the periodic payments promised in the contract are delayed. An investor may take on more risk compared to fixed or variable annuities. The returns are linked to the performance of a particular stock market index (often the S&P 500). The performance also depends on the terms of the contract. However, these vehicles have the benefit of more potential return while offering the traditional benefits of being an annuity. EIAs came onto the scene in the 1990s and have been sold at insurance companies. They follow the rise in stock market values and were considered an investment that could help seniors who were able to ensure that their money was protected and growing with their retirement income needs. The investment tool's popularity soon took off at the turn of the millennium, with sales in the billions. The industry changed and the annuities became more complex. The tools had a variety of fees and charges, limitations on accumulation, calculations of index values, along with some other features. Between 2003 and 2004, sales of EIAs doubled, going from $14 billion to nearly $22 billion, respectively. Sales were nearly $25 billion in 2007. In June of 2008, more than $123 billion was invested in indexed annuities, Christopher Cox, Chairman of the Securities and Exchange Commission stated at the time. Sales increased 45% in the first six months of 2009. In 2008, the Securities Exchange Commission cracked down on the abusive sales practices used to promote the product to seniors. An inquiry at a national seniors summit revealed that EIAs were among the securities involved in senior investment fraud. The SEC worked on a new rule that would consider EIAs securities, and therefore would have protections afforded by the securities law. An EIA's return is more interchangeable than a fixed annuity's, according to Financial Industry Regulatory Authority (FINRA), but this isn't the case when compared to a variable annuity, the return is not as much. The guaranteed interest rate is at a minimum; although, it's combined with an interest rate linked to a market index. It's the guaranteed interest rate that lessens their market risk; this differs from variable annuities. Also, when the stock market rises, these investments are likely to have more gains than traditional fixed annuities. The most common features that impact the return on equity-linked annuities are the participation rates, the spread, margin and asset fee, and the interest rate caps. Participation rates determine the amount of gain in the index that will be credited to the annuity. This would mean, for example, that if an insurance company sets the participation rate at 90%, the annuity would only be credited 90% of the gain. A spread, margin or asset fee in addition to, or instead of, a participation rate are sometimes used with these types of annuities, and the percentage will be taken away from any gain in the index linked to the annuity, according to FINRA. The typical methods in which the equity insurance annuities are calculated include the annual reset method, the point-to-point method and the high-water-mark method. The annual reset method looks at the changes in the index from the beginning to the end of the year, while neglecting declines; the point-to-point method looks at the change in the index at two points in time; the high-water mark approach narrows in on the index value at typically the annual anniversaries and takes the highest of these values and compares it to the index level at the start of the term. The guaranteed minimum return for an equity insurance annuity, FINRA found, is typically 90% of the premium paid at a 3% annual interest rate. However, make sure the insurance company is able to meet its obligation by finding out how it is rated among others in the industry. Additional perks of this investment are that it credits interest on the anniversary date of the annuity, and it offers tax-deferred growth. If you surrender the equity investment annuity early, you face a tax penalty of 10%, but the real clincher for investors has been the high surrender charges. The charges may whittle down to zero within 15 years, but if the investor needs to access to the money sooner for medical expenses or rent, they can be slapped with a fee between 15-20% of the amounts that they invested. Huge commissions have been a part of abusive sales. Commission fees charged were as high as 13%. Also, keep in mind that the money will be locked away for several years and the instruments are not regulated.